I’ve written before about how to improve your conference with explicit ground rules. Though it’s interesting and enlightening to compare the ground rules embedded in conference designs—for example, Open Space Technology has five ground rules, while Conferences That Work and World Café have six—I won’t do that today. Instead, I want to share two principles for designing ground rules. Each of these is a rule that gives permission for participants to act in a way that does not generally occur at traditional meetings. By explicitly giving permission for activities that normally are not associated with Conference 1.0 events, we increase participants’ freedom. Rules like these are superficially appealing, but they aren’t effective because they rely on unmeasurable assumptions. How can we determine whether a participant is listening, respectful, or polite? We can’t, and this can lead to unproductive, time-consuming, and ultimately unresolvable disagreements during an event. In contrast, here are examples of ground rules that are measurable and thus far less likely to lead to disagreement and subsequent conflict. How were these meta-rules derived? It would be nice to be able to claim that I first conceived these meta-rules for ground rule design, and then used them to build my conference ground rules. No such luck! It took me ten years to realize that explicit ground rules for Conferences That Work would be useful, and another five to figure out the six I now use. Only recently did I notice that all six follow the two principles I’ve described above. 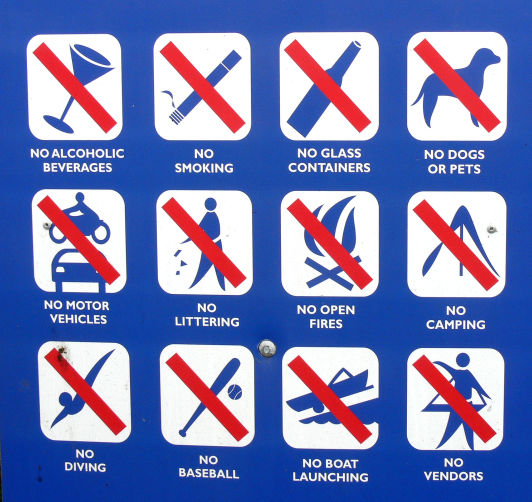 What ground rules do you use for your events? 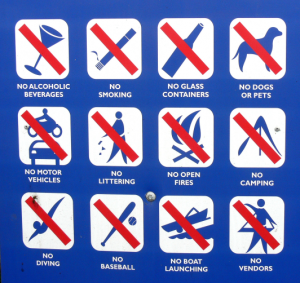 Can you share any other principles useful for designing ground rules? This entry was posted on Monday, June 6th, 2011 at 10:32 pm	and is filed under Event design. You can follow any responses to this entry through the RSS 2.0 feed.You can leave a response, or trackback from your own site.